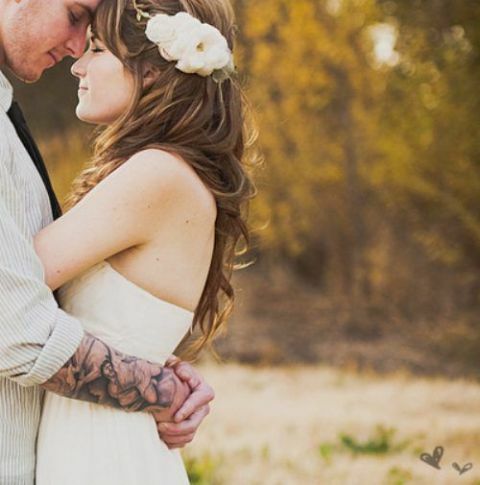 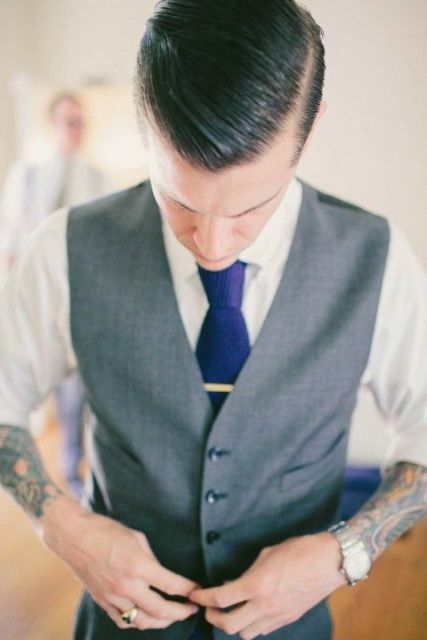 If your groom has a tattoo or a mix of tattoos, don’t make him hide them! 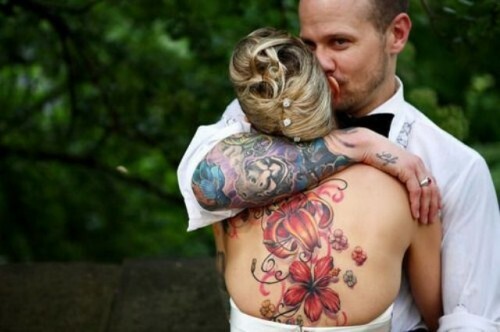 Don’t make him hesitate about his tattoos cause a tattoo is a part of a person, and it reveals his or her personality. 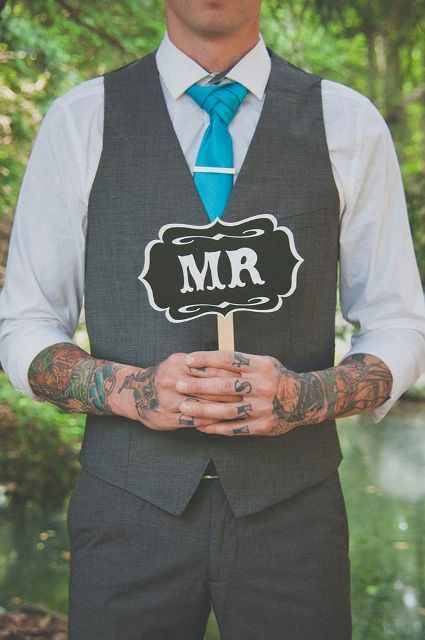 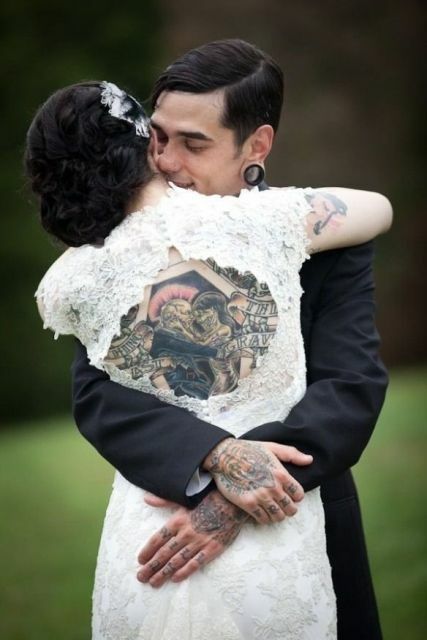 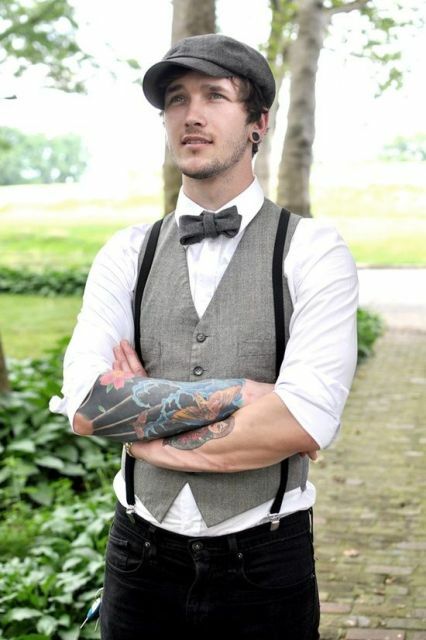 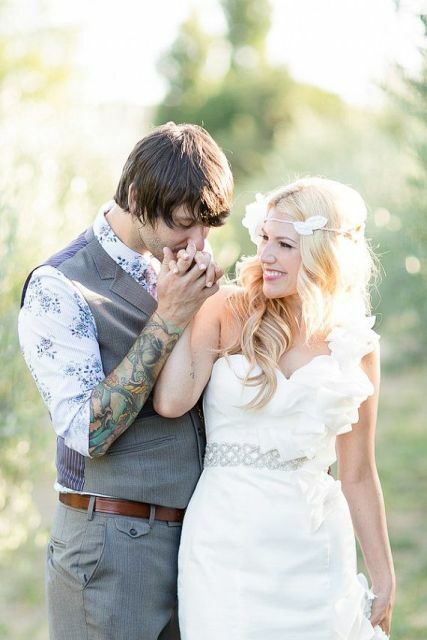 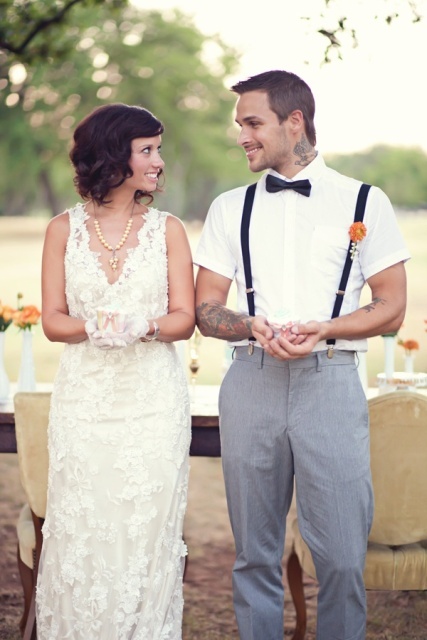 Wherever your groom has tattoos, let him rock them! 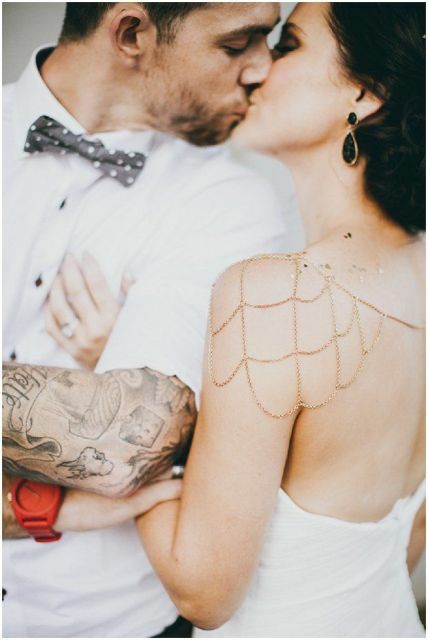 If he has tattoos on his arms, you can choose a short-sleeved shirt to show them up, if on the hands or neck, it will be even easier to rock them. 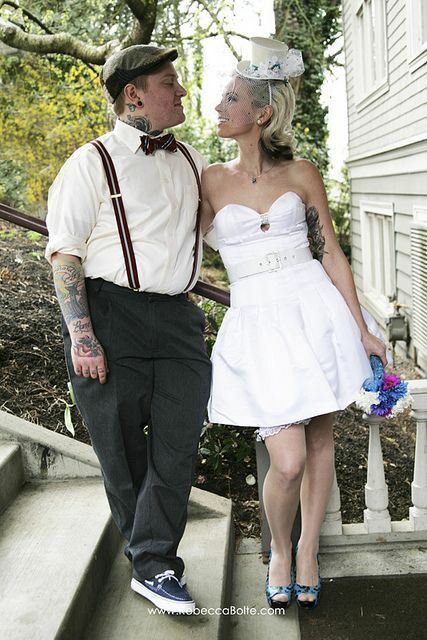 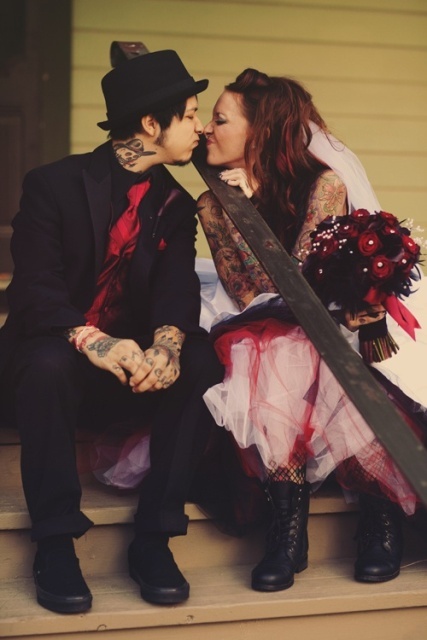 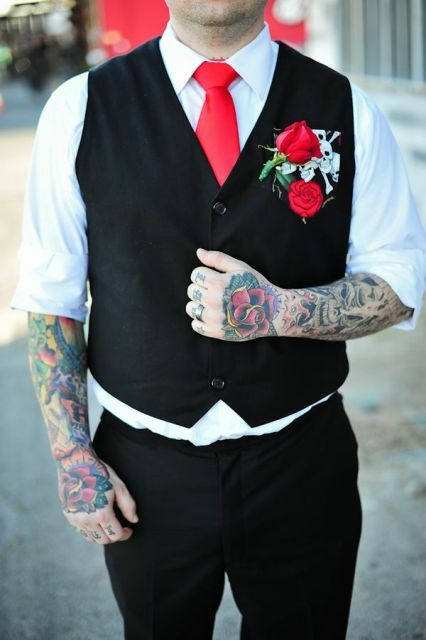 By the way, bright tattoos look amazing with vintage suits – it’s such a contrasting combo! 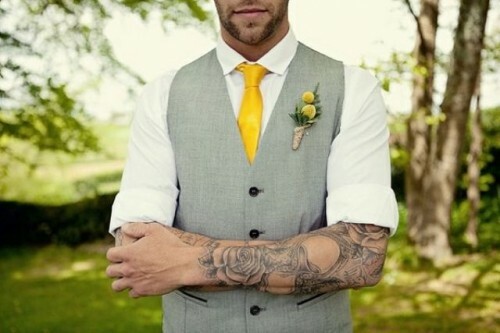 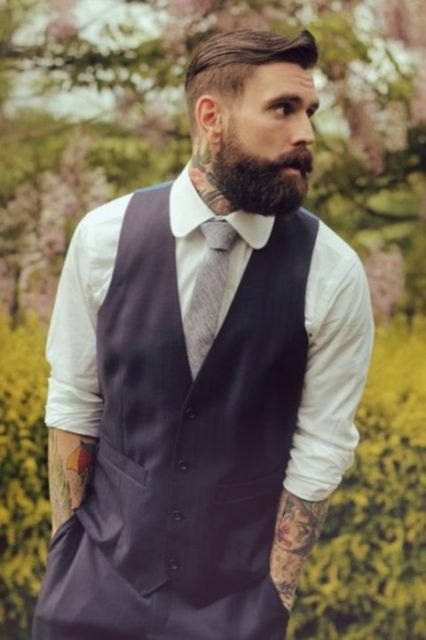 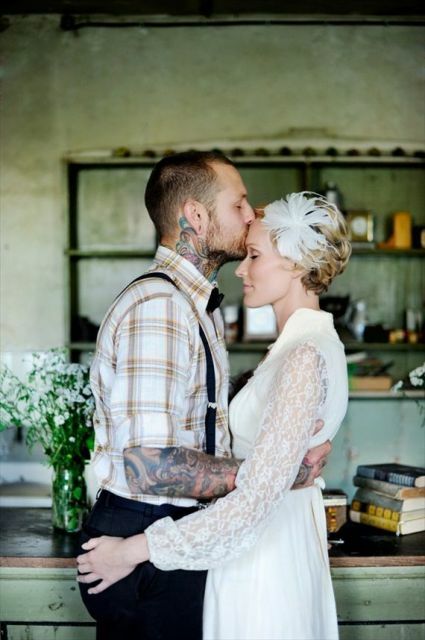 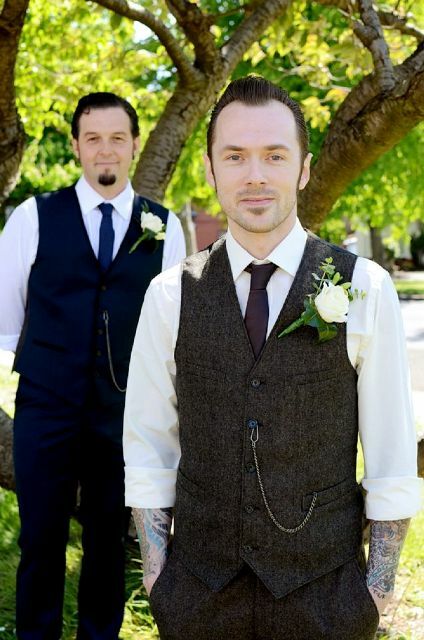 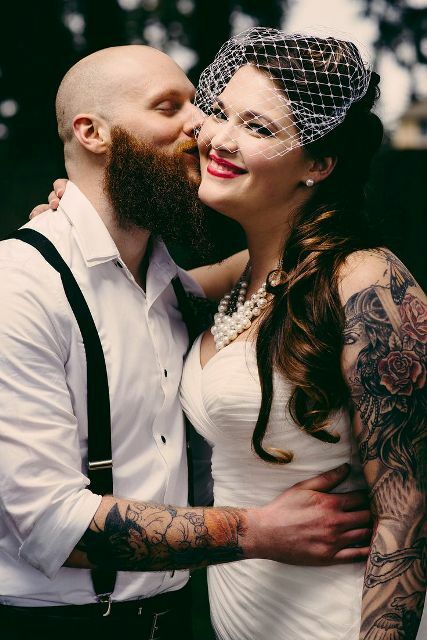 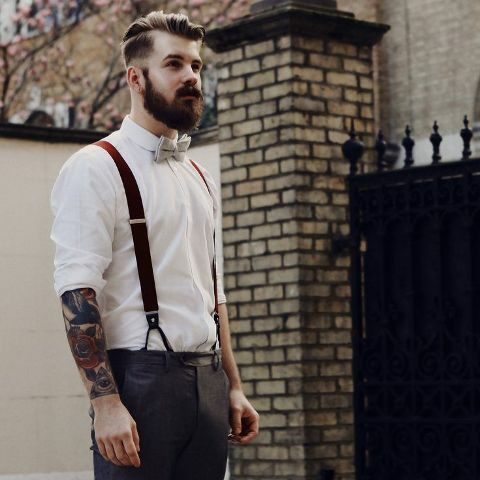 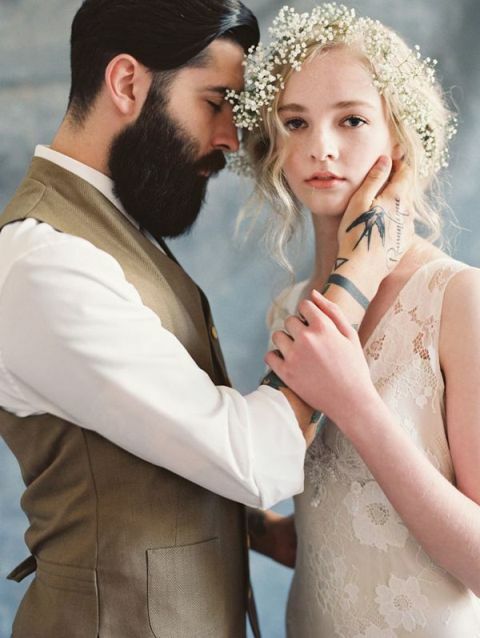 We’ve collected some great groom looks with tattoos for you, look below and find an inspiration!